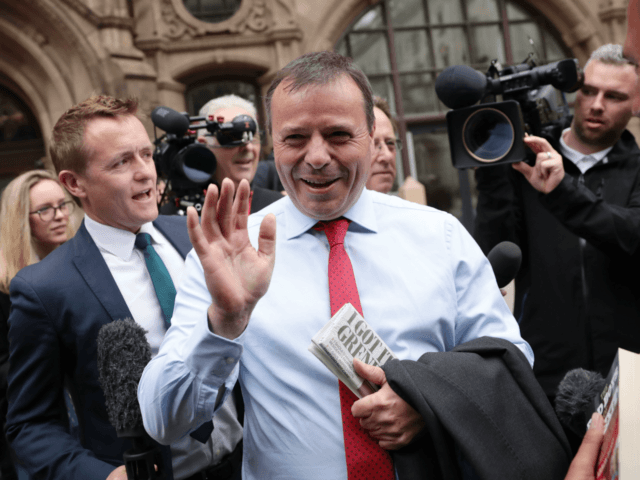 A number of Labour MPs are calling for Brexit to be immediately halted after the Electoral Commission referred Brexit campaign donor Arron Banks to the National Crime Agency (NCA). The watchdog said it suspected Mr Banks was not the “true source” of loans to the Leave.EU campaign and the money had come “from impermissible sources”. Mr Banks denies all the claims and says the Electoral Commission is biased against Brexit and does not understand the structure of his finances and business. “The [Electoral Commission] haven’t spoken to us or communicated in [four] months nor have they put any allegations for us to answer,” he wrote on Twitter. Elsewhere, Mr Wigmore suggested Leave.EU had a “plethora of wonderful stuff to give to the [NCA]” which would shed light on what the motives of the campagin’s detractors — including senior MPs — “actually were”. The NCA, the UK’s equivalent of the FBI, has only just initiated their investigation into the claims, but anti-Brexit MPs have already begun calling for Britain’s exit from the European Union (EU) to be halted. David Lammy, the MP for Tottenham, added: “We already know electoral law was broken. Now Aaron [sic] Banks is under investigation because Leave.EU stands accused of spending foreign money. “There is no evidence of any wrongdoing from the companies I own. I am a UK taxpayer and I have never received any foreign donations. The Electoral Commission has produced no evidence to the contrary,” he added. Leave.EU’s chief executive Liz Bilney, who is also under investigation, said all of the money had come from Mr Banks and he was the “ultimate beneficial owner” of the companies which loaned it. As a UK domiciled taxpayer Mr Banks was “completely permissible to donate money to campaigns as he sees fit,” she told BBC Radio 4’s The World at One programme.